This 19th Century shop counter was sourced in Northern Spain. 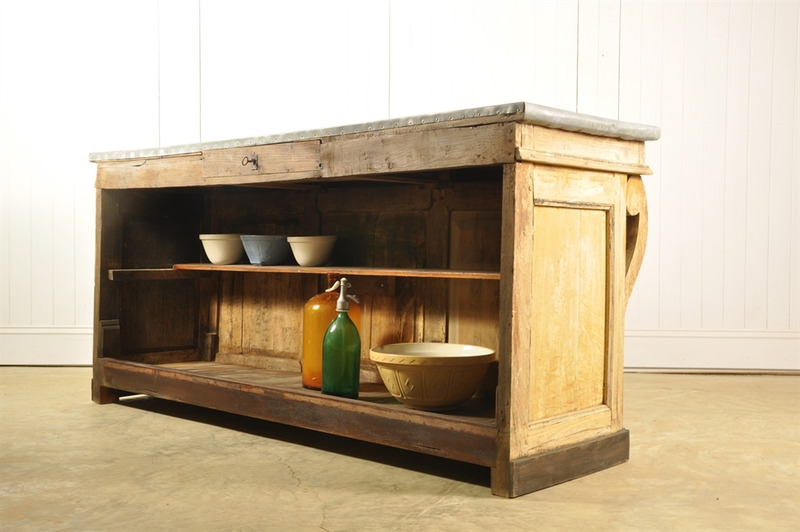 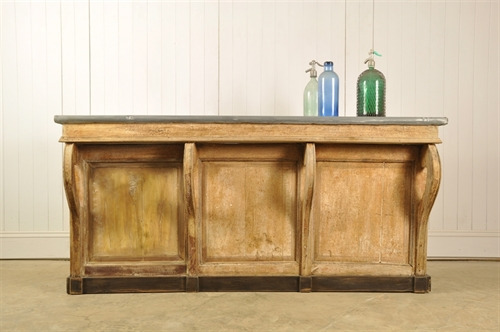 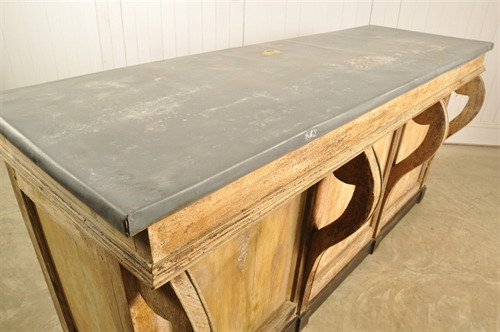 An unusual piece with masses of character and a lovely original zinc top. 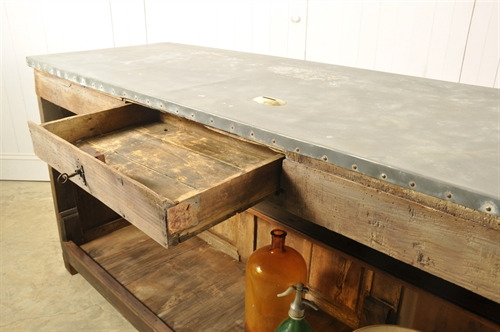 The zinc top has a fantastic patina and a few small holes. 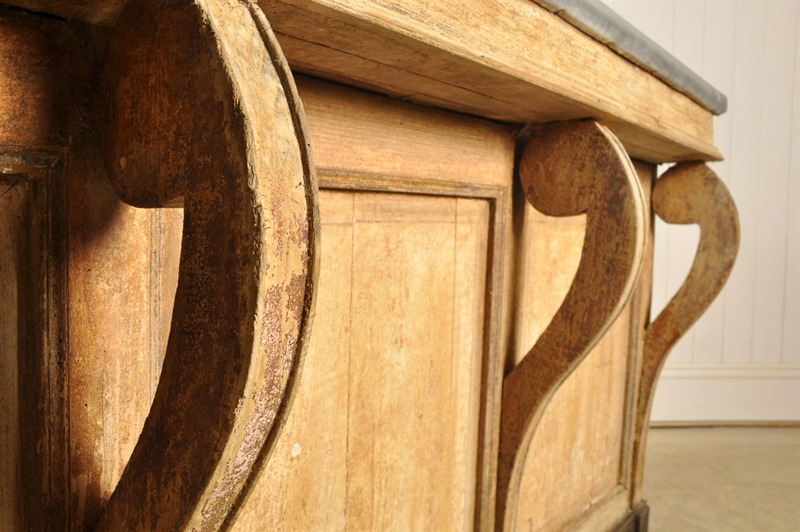 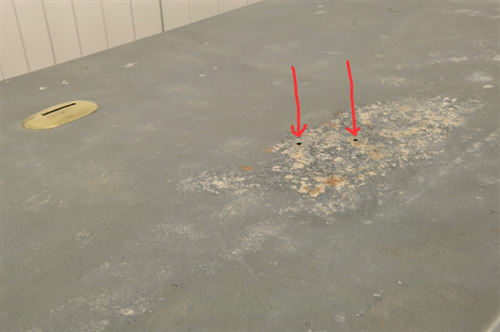 This antique counter has had a lot of restoration and basically been re-built. 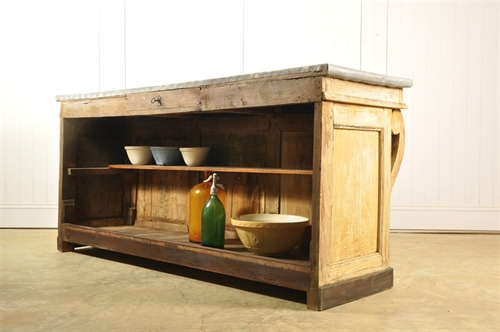 A little wonky here and there as per its age with some re-treated woodworm and a new kicking board along the bottom. All now structurally very sturdy. 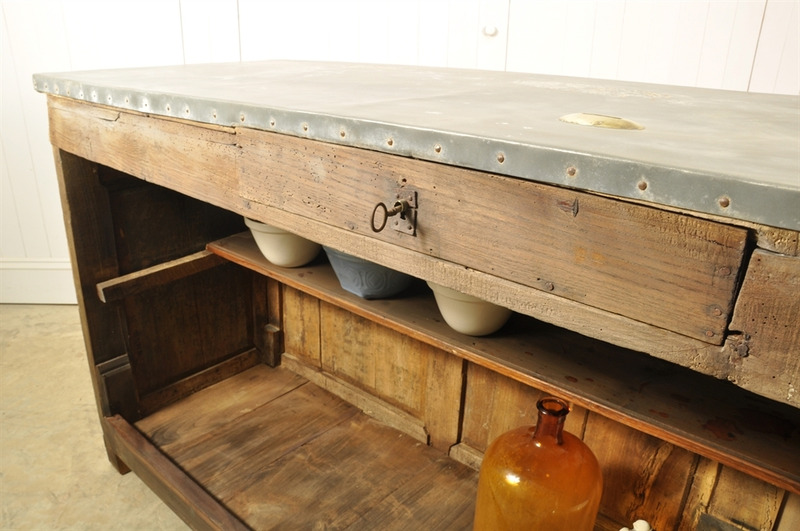 The drawer with original key is also a little on the wonky side. 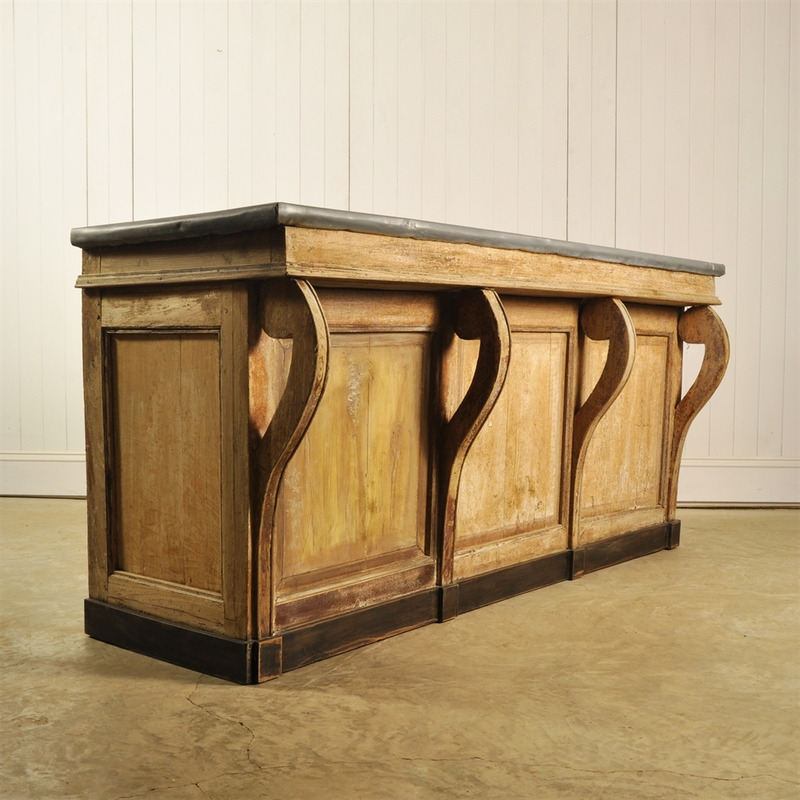 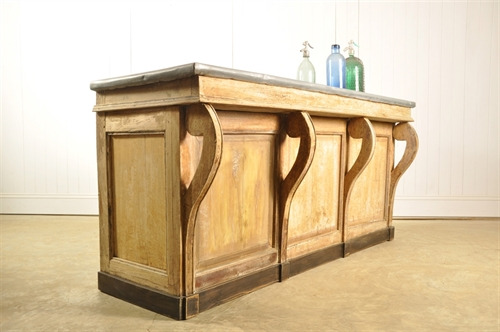 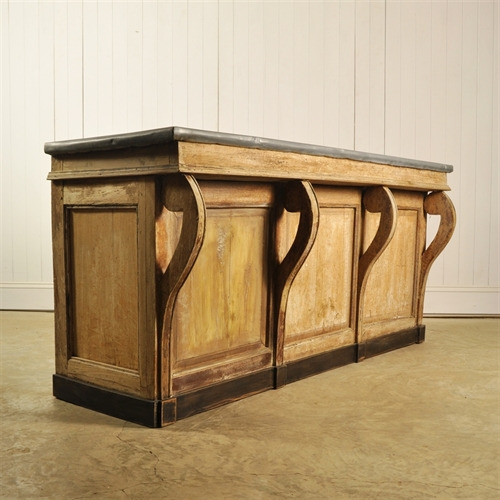 We love these as bars or Kitchen islands.